Law school is pretty frustrating. 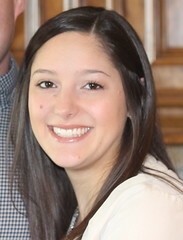 Sometimes it's challenging, sometimes it's stressful, sometimes it's downright annoying, and sometimes it makes me want to go crazy and drive over to Lake Houston and dump all my textbooks and law review papers off the side of the bridge and laugh maniacally as they sink. I think law school is one of those things that you just can't entirely understand until you've gone through it. But you know what? I've met some amazing people through law school. And they get it. They've been where I've been, and they just understand. We're all in it together, and we're just trying to get through it and have a few laughs along the way. And you know what? Sometimes we have a lot of laughs. Sometimes we get all dressed up and have nice meals and drink wine and tell stories. Those are the best times. Those are the times that make law school okay. Jeff's an engineer. Usually he works in an office in business clothes, but every now and then he has to "go out to the field." When that happens, he wears the stuff they wear in the field (safety policies and all that). Usually he changes clothes before he gets home, but the other day he didn't and I got to see him in his field outfit! A blue jumpsuit... complete with his name stitched on the front in red letters. I just find this so funny for some reason! Funny, but cute! He made fun of me for calling it a "jumpsuit." Apparently it has some other official name. Some acronym or something. Tomato, Tomahto. Jeff's birthday was last Monday, but I had class until 9:00pm, so we "rescheduled" it for this weekend. We celebrated by going to a fancy French restaurant near our new house, and it was absolutely delicious. 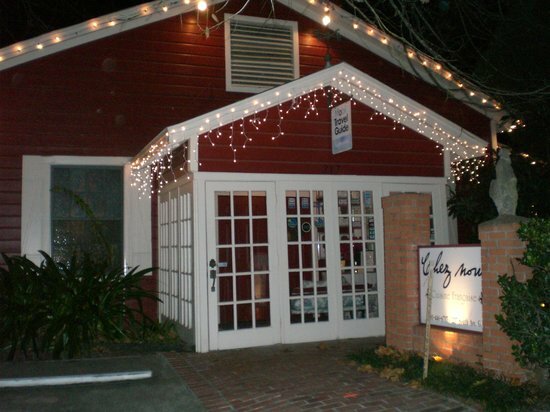 Humble/Kingwood/Atascosita residents (or any Houstonians who don't mind a bit of a drive), you've got to go try Chez Nous! We split a foie gras appetizer, which was quite adventurous for me! I had the best divers' scallops I've ever had in my entire life with a wonderful spring pea risotto, and Jeff had their duck dish, which was also really good. Then we split a passionfruit pomegranate souffle for dessert (we heard a woman at a nearby table tell her waiter that it was her favorite dessert in the "whole entire world," so we figured it was worth a shot!). Oh. my. gosh. It was delicious. I've never seen a souffle so perfectly puffy. 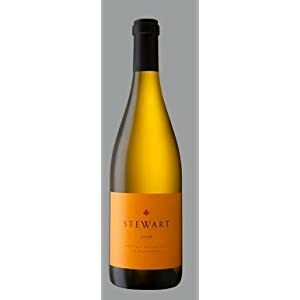 We also had a lovely little conversation with their "wine guy," and he suggested we try a wine called Stewart Sonoma Mountain Chardonnay, which was just absolutely lovely. I'd highly recommend it. I think we had the 2009. Anyway, it was such a treat because we normally don't do fancy, expensive things like that. The food was amazing, plus the service was wonderful (they had like one waiter per table... it was crazy!). Jeff really enjoyed it. All the wonderful reviews on Yelp, Urban Spoon, etc. were totally right! Have y'all heard of Ocean Spray's sparkling juices? They're my new favorite thing. I went through a 4-pack of the diet cranberry one in less than two days. They're just so delicious! Plus they're full of Vitamin C and good stuff. There's a pomegranate blueberry flavor too. Believe it or not, I think these have replaced Diet Coke in my life. They're that tasty! A couple weeks ago, I accidentally discovered that a bunch of people are pinning stuff from my blog to Pinterest! How fun is that? I'm probably like three years behind on this, but to make it a little easier to pin things I've added a "Pin It" button to the bottom of my posts (you can scroll down and see it at the bottom of this one!). Karen has a great tutorial on how to add the HTML code here. It was so easy to add... I should've done it months ago! 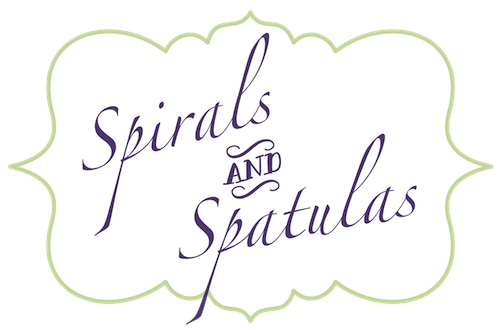 You can see all the pins from Spirals & Spatulas here. 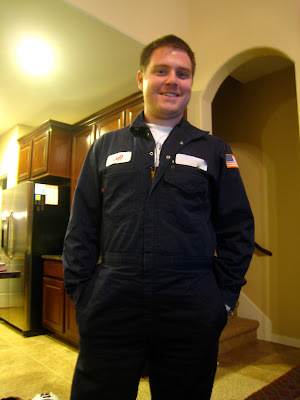 My boyfriend is also an engineer for an oil & gas company, and I laugh every time I see him in those! !